NEW YORK (Reuters) - Actavis Plc (ACT.N) plans to approach Allergan Inc (AGN.N) again about a potential merger, as the Botox maker warms up to the possibility of a sale, people familiar with the matter said on Tuesday. Allergan, which has repeatedly rejected offers from Valeant Pharmaceuticals International Inc (VRX.TO), would consider a takeover proposal that values the company at above $200 per share, some of these people said. Actavis, which held informal conversations with Allergan in recent months about a possible combination, would like to take a hard look at buying the company and could reach out to its management team as soon as this week to reiterate its interest, one of the sources said. There has been no formal engagement between the two companies yet, the sources said, asking not to be named because the matter is not public. Actavis' new overture would come as Valeant and its partner William Ackman plan to boost their offer by about $15 per share, valuing Allergan at more than $190 per share, according to a separate person familiar with the matter. Valeant had initially intended to announce a higher bid after reporting what it expects to be blow-out earnings on Oct. 20, the person said, adding that the timing and amount of the bump could still change. Allergan, while fighting off Valeant's advances, did not reach out to other alternative buyers and instead focused on identifying opportunities for revenue growth and cost cuts internally. But it is aware of competing interest from other drugmakers, particularly from Actavis, the sources said. The emergence of Actavis as a serious rival suitor adds another twist to the months-long takeover battle between Valeant and Allergan. The Canadian drugmaker's bid already has attracted controversy because it is backed by activist investor Ackman, leading to a legal challenge from Allergan which has accused the two parties of insider trading. Shares of Allergan ended 1.7 percent higher at $186.20 on the New York Stock Exchange after rising more than 3 percent on the news, valuing the company at more than $55 billion. Actavis closed at $243.39 for a market capitalization of roughly $64 billion. Shares of Valeant fell 2.5 percent, putting the value of its existing cash and stock offer for Allergan at $175.94 per share, or $52.8 billion based on shares outstanding. Valeant expects its shares to rise substantially when it announces earnings in the coming weeks, potentially making its newly increased offer worth well above $195 per share and close to $200, one person familiar with the matter said. Analysts have an average price target of around $200 per share for Allergan, with the price ranging from $174 to $240 per share, according to a Thomson Reuters poll of 16 analysts. Representatives for Allergan and Actavis declined to comment. 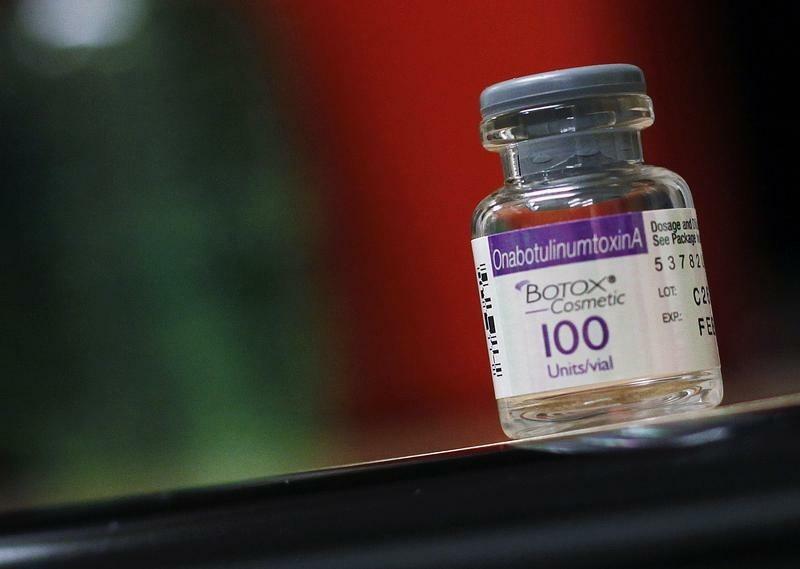 Actavis' continued pursuit of Allergan comes as the takeover target faces a Dec. 18 special shareholder meeting, at which top Allergan investor Ackman's Pershing Square Capital Management hopes to replace a majority of the company's board. Pershing Square has teamed up with Valeant to pursue a takeover of Allergan, and is hoping to install new board members who could be more receptive to a takeover by the Canadian drugmaker. Actavis, which regularly reviews potential acquisitions, considers Allergan as the best opportunity currently and is hoping to engage in friendly discussions, the sources said. Industry executives have said Actavis would be a better cultural fit for Allergan because the companies' respective chief executives, Brent Saunders and David Pyott, believe in focusing on research and development, while Valeant CEO Mike Pearson is known for cost cutting. A large part of Allergan's business is ophthalmology, an area that Saunders is familiar with after serving as CEO of Bausch & Lomb. Valeant acquired Bausch & Lomb last year. Valeant and Pershing Square offered to buy Allergan on April 22 but Allergan has said the offer undervalued the company. Since then Allergan has announced cost cuts and said it was looking for acquisitions while trying to persuade shareholders they were better off remaining independent. But the possibility of Allergan making a potentially large acquisition has faced significant opposition from shareholders who feared such a deal would make the company too big and expensive for Valeant. Allergan had held on and off discussions with Salix Pharmaceuticals Ltd (SLXP.O) about buying the drugmaker for more than $10 billion in cash, people familiar with the matter said previously. A cash takeover would not have required a shareholder vote and could have put Allergan out of Valeant's reach. Those discussions stalled in part because Allergan considered Salix's valuation as high, and while the company continues to look at other deal opportunities, the likelihood of it striking a big acquisition before the Dec. 18 shareholder meeting is low, the sources said.